In the May budget, the federal government allocated money to buy England’s phonic screening test for six-year-olds in Year 1. The screening test, introduced in England in 2012, tests students at the beginning of Year 1 and again at the start of Year 2. There are 40 words in the test, and all can be easily sounded out, but only 20 are real words. The other 20 are pseudo words like “shup” or “doil”. The purpose of the test is to see if children can match sounds to letters. 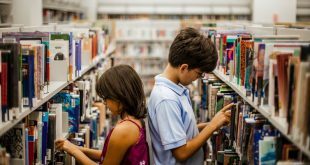 The Australian government claims the test will address a decline in reading as measured in international tests of reading for 10- and 15-year-olds. It aims to tie education funding to this phonics test and has threatened to withhold federal education funding for states and territories that do not implement it. The matter will be discussed at the meeting of state and territory education ministers with the federal education minister in December. That is a lot of weight being given to just one part of the literacy puzzle. Here’s why Australia should not follow the English model. The phonics test has been deemed successful because the children get better at doing it over the course of the year. This is not surprising as schools are required to use government-sanctioned phonics programs to teach to the test. In some schools in England, literacy time is now spent learning how to read made-up words in order to do well on the test. So the impact of the phonic screening test is clear. Six-year-olds in England are getting better at sounding out individual decodable words, including made-up words. What isn’t yet clear is if they are getting better at reading. Identifying the children who are struggling with phonics isn’t hard. It is very evident to teachers, and we already test for it. We don’t need another test to tell us what the problems are. We need solutions. The challenge is understanding how a struggle with phonics fits in with other information we have about the student – and then understanding what teaching intervention is required. An English Additional Language (EAL) learner’s struggle with phonics will be different from a native English speaker who has a language-processing problem. An EAL learner will find some English sounds hard to hear and hard to reproduce, just as English speakers find the sounds of other languages hard to hear and reproduce. That doesn’t mean they have a reading difficulty, it just means they have an accent. Instead of spending money on a screening test that confirms what teachers already know, governments should fund professional learning for teachers to help them understand what to do with the copious data already collected on their children’s reading, writing and spelling. The last international test of reading for 10-year-olds – Progress in International Reading Literacy Study (PIRLS) – was in 2011. In that test, England was 11th on the league table and Australia was 27th. This was prior to England’s mandatory phonics screening and accompanying phonics-first approach in the early years. It was also before the introduction of the Australian Curriculum and its very clear articulation of phonics in the early years. The highest-performing English-speaking country in the 2011 PIRLS was Northern Ireland, in fifth place. Northern Ireland was not running a phonics-only approach to reading, nor was it employing mandatory phonics screening tests. While Australia was languishing at 27th, the scores for the Australian Capital Territory (ACT) were exactly the same as Northern Ireland’s – top five internationally. The ACT was not running a phonics-only approach to reading in the early years. It still doesn’t. Yet it also consistently tops the National Assessment Program – Literacy and Numeracy (NAPLAN) standardised tests in reading. So we cannot even identify a correlation – let alone a causation – between a phonics screening test and later success in reading comprehension. When our government insists it is intent on pursuing evidence-based approaches to education, one would hope that it would seek out all the evidence and consider it carefully. Phonic knowledge is an important part of learning to read, write and spell. But phonics is only one of the tools you need to read. Being able to sound out letters in words doesn’t mean you can understand them. To be a successful reader you also need strong spoken language, a wide vocabulary, a good understanding of how sentences are structured and lots of experiences that you can draw upon to make sense of what you read. It is worth understanding the historical background to England’s “back to basics” phonics push. Key evidence for this policy emphasis was a longitudinal study conducted in a cluster of Scottish schools for the Scottish government. The study reported improved phonic skills in schools where phonics was taught systematically and explicitly. 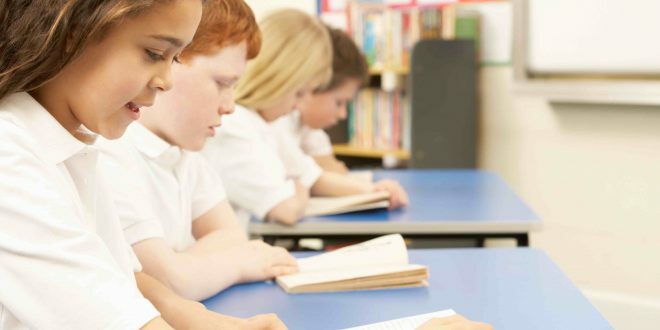 However, the children from the study ultimately did not perform any better than any other school in Scotland’s national standardised reading test in Year 7. The study did not undergo peer review and its method has since been negatively critiqued. Scotland itself did not pursue a phonics-first approach to literacy as a result of the study. It seems England has decided to put all its “reading” eggs in a very shaky basket. So should we be following England’s lead? This piece was written by Misty Adoniou, associate professor in language, literacy and TESL, University of Canberra. The article was originally published on The Conversation. Associate Professor in Language, Literacy and TESL, University of Canberra.